Happy January, loves! 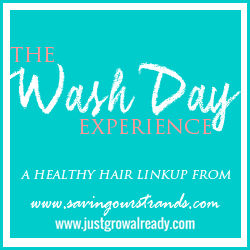 Has your hair journey started on a good note? 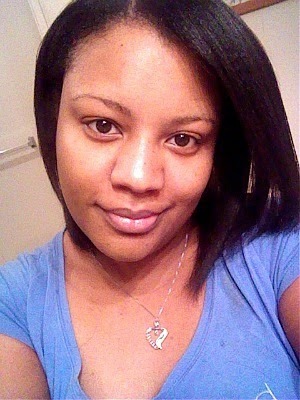 In the last couple of months, I noticed a bit of breakage and shedding in my hair. So I got a trim, which basically turned into getting all of my broken see-through ends cut. Now I'm back to shoulder-length hair. It's all good though, because I'm hoping with patience, consistency, and time my hair grows back even healthier than ever! Since I'm about 22 weeks post and can't remember the last time I did a deep conditioning with a heavy protein, I knew I was way overdue for a protein treatment. It's the best way to get this breakage and shedding behind me, I figured. So I pulled out my Aphogee Two-Step Protein Treatment and did my first protein treatment of the year. 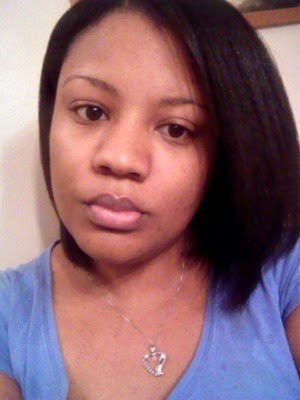 1.Pre-pooed with warmed HairTrigger Growth Oil (not pictured) on the scalp and down the length of my hair, overnight. 2.Saturated my hair with warm water and applied SheaMoisture JBCO Strengthen, Grow & Restore Shampoo throughout hair and scalp. I did two washes with this and rinsed thoroughly. 3. Blotted hair with a t-shirt and applied Aphogee Two Step Protein Treatment to my hair with a spray bottle per the instructions. After fully applying, I used the blow-dryer to help the treatment harden. 4. Rinsed protein treatment from my hair completely. 5. Applied Aphogee Balancing Moisturizer to my hair and let sit for 10 minutes, then rinsed completely. 6. Blotted hair with a t-shirt and sprayed a light mist of Aphogee Keratin & Green Tea Restructurizer to my hair. Then I wrapped my hair in the t-shirt and air-dried about 85%. 7. 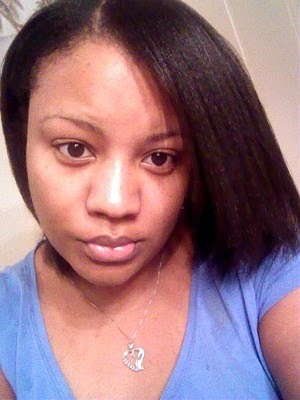 Applied GVP Silk Remedy to my edges and the length of my hair to complete hair drying with the blow-dryer. 8. After dried, I applied Shea Moisture Yucca and Baobab Moisturizer to my hair and sealed with a small bit of JBCO, as I normally do. Then I put on my scarf and went to bed! I woke up this morning, took off my scarf, and was so impressed with my hair. It felt so thick and healthy for a change! I knew my protein treatment was just what the doctor ordered when I finger detangled my hair after rinsing the balancing moisturizer from it. So waking up the next morning with full, shiny, voluminous hair was an added bonus. And did I mention after my protein treatment, I had little to no shedding? That's totally out of the ordinary for me, especially since these 2-3 different textures in my hair are always at war with each other lol. All in all, I feel like this wash day was a great one. I feel like I started off the year right with my hair journey. 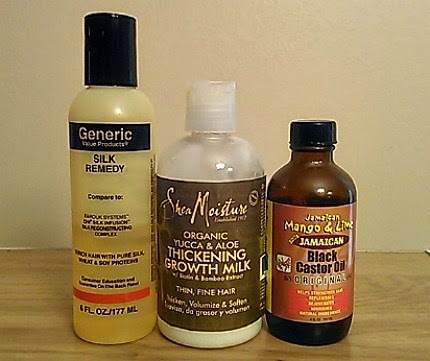 Now I must make sure I stay consistent with co-washing, moisturizing and sealing, and my deep conditioning treatments per usual. I also want to master other protective styles, especially roller-setting. You girls out here are killing it with these bomb roller-sets. How can I be down? Lol. 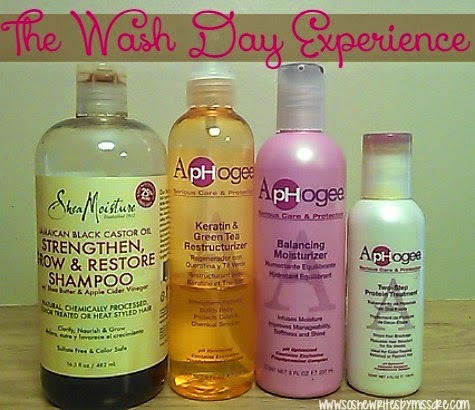 How was your wash day experience? HELP! I Am Becoming My Mother.